Ridge Valley Farm is located in Sumneytown, Montgomery county. We have a 30 acre farm which is mostly woods and our trees grow naturally and are free range. We are not certified organic, however our syrup does not contain anything other than pure sap. Our trees are never sprayed or fertilized. 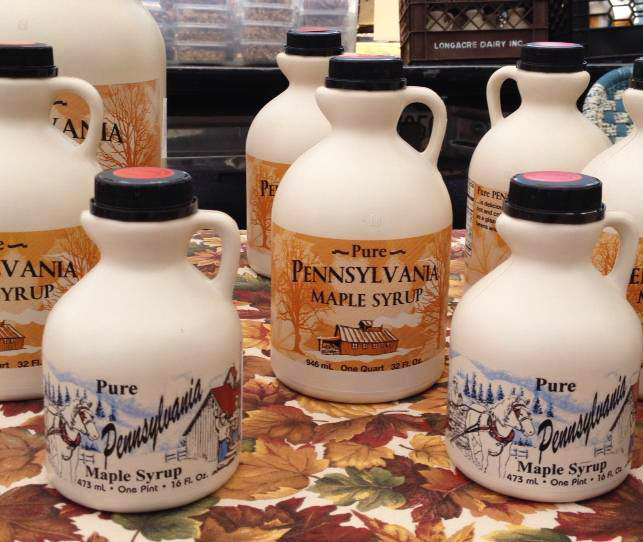 Our syrup is graded according to USDA standards and we are licensed by the PA Dept of Ag. We start tapping our trees in January. We have a series of tubing lines, the sap flows through the lines and into a collection tank the sap is then run through a reverse osmosis machine before we start to boil it. It takes an average of 40 gallons of sap to get one gallon of syrup. We carry Grade A medium, dark and very dark amber in gallons, ½ gallons, quarts, pints and ½ pints. 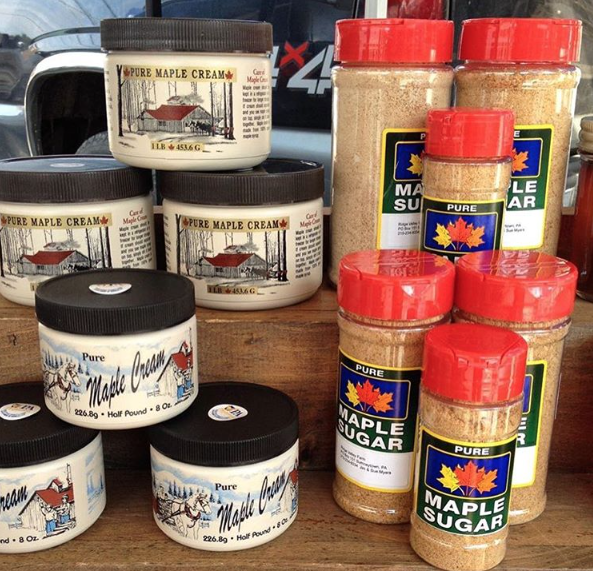 We also carry maple coated walnuts & pecans, maple granola, snack mix, maple BBQ sauce, maple mustard, maple infused balsamic vinegar, maple cream, maple sugar candy and maple granulated sugar.